Stirling Council has given 650 of its staff a festive boost after Councillors agreed to implement the latest increase of the Living Wage early. At a meeting of the full council earlier today, members green-lit proposals to start the recent recommended increase in the hourly rate of pay from November 16, rather than waiting until the next pay inflation award date in April 2019. National pay negotiations for 2018/19, 2019/20 have not concluded but a salary rise now ensures employees receive the increase, set by the Living Wage Foundation, without delay after a new figure of £9 per hour was set for accredited employers in November. Stirling Council’s increase starts at £9.06. Stirling Council Leader, Cllr Scott Farmer, said: “Bringing this increase forward underlines our continued commitment to paying our workers a fair and reasonable rate for the work they do in serving our communities. “Each year we do our best to set an example for other local authorities to follow in not only implementing the living wage, but paying above the recommended level to our staff. “We value and appreciate each and every one of them for the fantastic work they do across Stirling. We are one of the most significant employers in the area so we have to set examples. We have to set the standard. Stirling Council first implemented payment of the Living Wage in April 2012 and became an accredited Living Wage employer in 2015. The uprating of the Living Wage figure each year takes account of rises in living costs and any changes in what people define as a ‘minimum’. It also takes some account of what is happening to wages generally. In November 2017, the Living Wage increased to £8.75 per hour, but Stirling Council agreed to increase the starting hourly rate to £8.80 per hour. The decision to bring the latest increase forward has financial implications but Councillors believed the priority was looking after the Council’s lowest paid staff, and the current existing revenue budget would cover the costs. 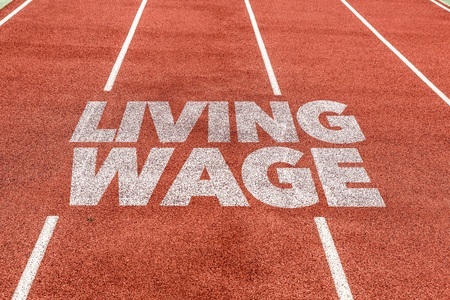 Cllr Danny Gibson, Deputy Leader of the Council said: “The Living Wage is designed to ease the financial pressure on those who feel it the most, especially at this time of year, so it makes perfect sense to implement the increase as soon as possible. “Since becoming an accredited Living Wage employer, we have consistently taken the lead in putting our staff first, going above and beyond the recommended figures and it’s a position I’m sincerely proud of as a Councillor for Stirling. “I’ve always supported this and it deals with those real challenges related to cost of living, rent, food, and energy – real costs people face. “It’s crucial to me we redistribute wealth to the poorest in society and our lowest paid staff. We have to set an example to other Living Wage employers and we should be working with them to make sure this is a district that leads as a Living Wage district.